For a long time, it’s been drilled into us that eating fat will make you fat, and so many of us have tried desperately to banish this essential food group from our diets. And so, as a first-time parent who’s grown up avoiding fat at all costs, it can be difficult to wrap your head around the fact that children need healthy fats for proper nerve, brain and skin cell function, as well as to protect their vital organs and to help control body temperature. In fact, I’m so passionate about this topic, that I dedicated a whole chapter in my book to healthy fats, along with a host of nutritious recipe ideas. The role of healthy fats in the body. Fat supplies us with essential fatty acids that we can’t manufacture ourselves and helps our bodies absorb vitamins A, D, E and K from food. They also affect the production of hormones, regulate blood sugar and provide us with energy. Fats with proven health benefits include both monounsaturated and polyunsaturated fats (omega 6’s and omega 3’s). But, unfortunately at the other end of the scale are unnatural trans fats – the actively bad fats with no nutritional content and have even been proven to cause disease. Eek! Saturated fats however, sit in between. In moderation, and when obtained from whole food sources such as grass-fed beef, coconut oil and high-quality dairy products, saturated fats can prove to be a beneficial part of a balanced diet and ensure proper brain health, nerve function and cell membrane health, not to mention they also help growing children feel satiated. There’s an ongoing debate about the optimal fat intake, and while research is still continuing, it’s been accepted that ‘good’ fats are important for all of us – especially growing children who need all the nutrients healthy fats contain. One of the easiest ways to add some healthy fats to your family’s diet is to cook with high-quality oils like cold-pressed extra virgin olive oil, cold-pressed avocado oil or coconut oil which can be used over a medium-low heat, or even opt for cold-pressed macadamia oil if you’re cooking on a high heat. These are the fats associated with the health benefits of the Mediterranean diet. They reduce bad cholesterol, lower the risk of heart disease, normalize insulin levels and stabilize blood sugar levels. Some excellent sources include avocado, extra virgin cold-pressed avocado oil, olives, extra virgin cold-pressed olive oil, macadamia nuts, extra virgin cold-pressed macadamia oil. These are also known as ‘essential fatty acids’ because they’re essential to vital biological processes in the body. We aren’t able to manufacture them ourselves, so it’s important to include them in the diet to reduce bad cholesterol, reduce the risk of heart disease, high blood pressure, stroke and type 2 diabetes. Deficiency can cause dry skin, eczema, lethargy, a weakened immune system, hormonal imbalances and depression. A lack of these fats can also impact performance on reading tests and working memory and may add to symptoms of attention-deficit/hyperactivity disorder (ADHD) in children. The best sources include oily fish such as salmon, trout, sardines and mackerel, flaxseeds, chia seeds, walnuts, egg yolks and dark green leafy vegetables. Ensuring your meat is grass fed and grass finished (ie. not grain fed just prior be being slaughtered) will help too. As with omega-3s, our bodies are unable to make this essential fatty acid and consuming it in the right quantity can help to protect against heart disease, eczema, ADHD and certain allergies. Brilliant sources include meat, poultry, eggs, sesame seeds, walnuts, pumpkin seeds, linseed, green leafy vegetables, borage and evening primrose oils. When consumed as part of a well-balanced diet, in moderation and from high-quality whole food sources, saturated fats form a valuable support for growing children and help to keep little bellies satiated. Great sources include coconut oil, pasture-fed beef, lamb, organic chicken, turkey and eggs, whole dairy products. Feeding your children saturated fats from these sources as opposed to grain-fed beef or processed sausages will make a key difference. Avocado, peanut or almond butter, salmon and chia seeds are all excellent sources of healthy fats. Eggy Sweet Potato and Coconut Custard is rich in healthy fats, gluten-free, dairy-free and made using just four ingredients! My Coconut, Fish and Vegetable Stew is full of healthy fats, selenium and protein as well as packing an impressive veggie hit. This quick and easy Coconut Lamb Meatloaf is a gluten-free, dairy-free and nut-free family favorite, packed with healthy fats and lots of flavor. 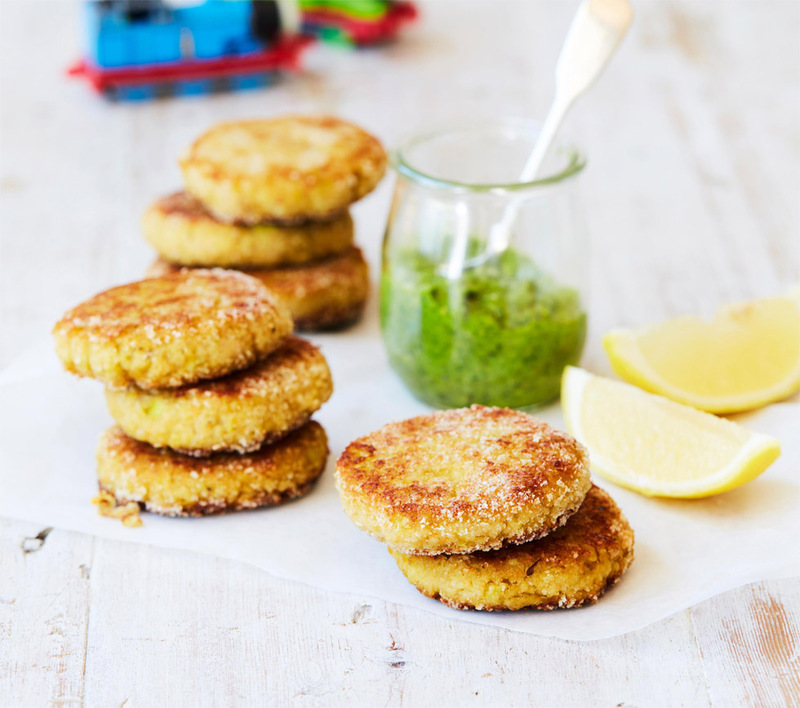 Try these Tasty Salmon and Millet Rissoles, which are bursting with protein and healthy fats, but are gluten-free, dairy-free and nut-free to suit everyone. These High Protein Peanut Butter Biscuits are fun to make with the kids and are a nutritious alternative to store-bought cookies. Bear in mind, this recipe isn’t school-friendly. 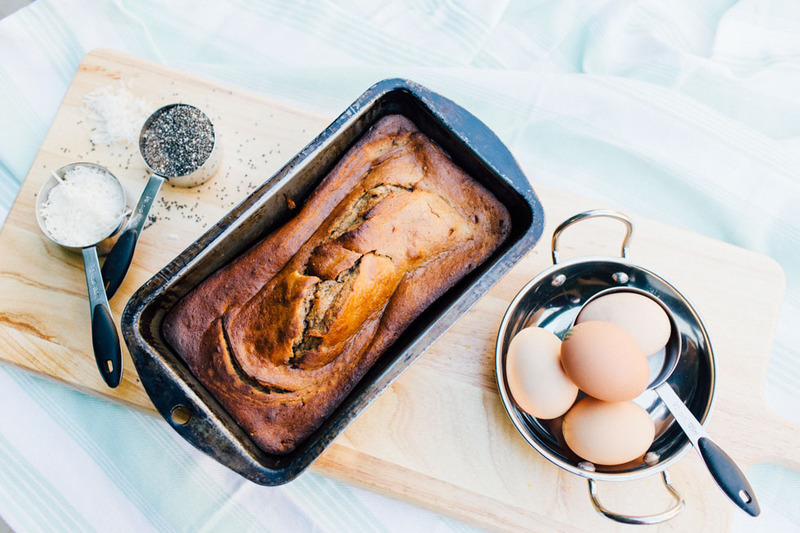 The Wholesome Child Banana Bread is not only rich in healthy fats, but high in iron and protein too. 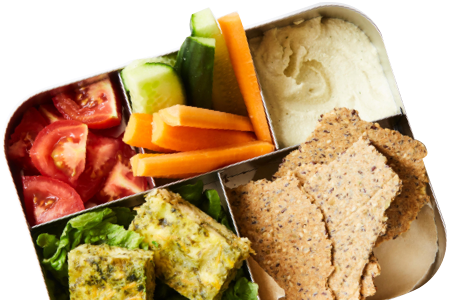 Plus, it’s perfect for lunchboxes! 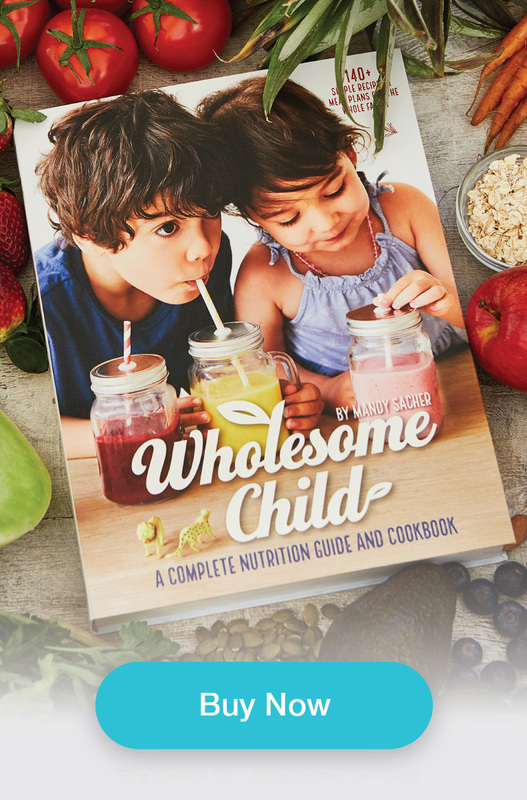 My book also features a large range of other family and allergy-friendly recipes that are rich in healthy fats. A few include Flaxseed Crackers, Brazil & Cashew Nut Patties, numerous dressings, sauces and homemade muesli bar recipes, along with my very popular Healthy Fish Fingers recipe. Yum!